Kitchen Splashbacks & Luxury Bathroom Wall Panelling, Any Colour & DigitaArt Printed Splashbacks. WE SUPPLY AUSTRALIA WIDE, FACTORY DIRECT. Bonethane Premium Kitchen Splashbacks & Bathroom Wall Panels the DIY favourite! We have it all, your one stop domain to all your interior needs! 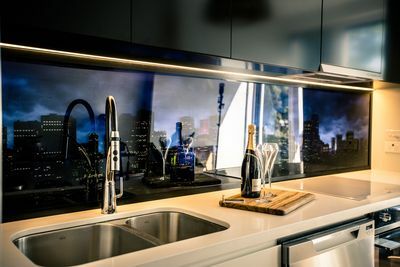 When we sat down and deliberated all these years ago, ISPS Innovations focussed on the limitations that we were sometimes plagued with using glass, acrylic or tiles as a splashback alternative. 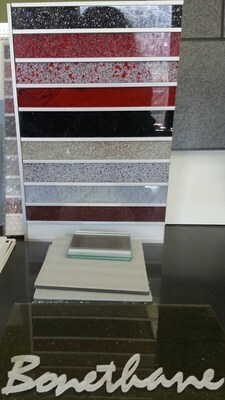 ISPS Innovations put pen to paper and listed what we wanted in a splashback option.We know we wanted a DIY friendly building graded high heat absorption thermal plastic splashback that was DIY friendly and we sat down with industry polymer experts and created Bonethane Premium High Heat Polymer Splashbacks. Colour was another key interior challange. Because of so many battles with custom colours on interior substrates, ISPS decided to go one better and offer the service of colour matching by eye to reduce the headaches of buying out of the paint pot colours as once colour was applied to a substrate the dissapointment of colour changes and variation as a result of light source or non preparation to substrates, which in effect changes the colour. ISPS like to assist with critcal colour matching processes and require primary colour samples to achieve effective colour tonning and blending. So send us an apple, a door a pencil or any colour you like as long as it is a physical sample and we will do our best to match, blend and tone. Bonethane Premium is a high heat polymer 120°C & coating formulae crafted & customised modelling strength together with flexibility , durability & endless colour options, variations & combinations. In satin velvet finish & high gloss. 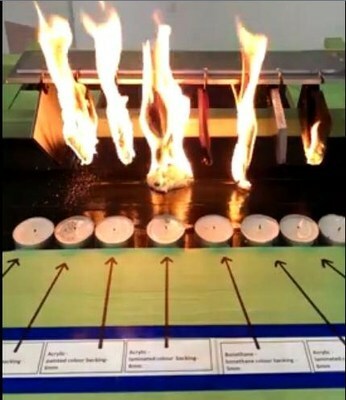 A higher heat distribution than Acrylic substrate polymers. The look of glass with the added control over crafting innovative shapes, angles & leading edge designs to finish any domestic or commercial project, with out splitting or cracking, leaving you a DIY Master! 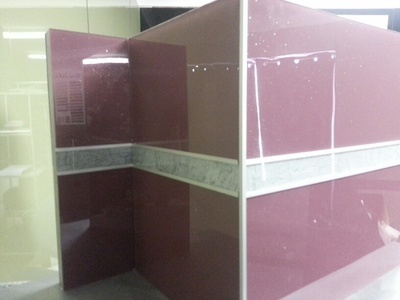 Bonethane Premium should not be compared to Acrylic Splashbacks in the market place. 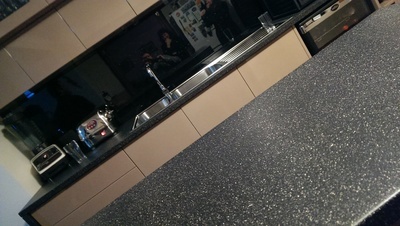 View Bonethane Vs Acrylic Splashbacks YouTube clip. Bonethane Premium is a breeze to clean, warm soapy water with a soft sponge or cameo, rinse residue, wipe downwards with a damp toweling cloth(not dry cloth), Bonethane Premium air dries & shines. Bonethane Premium will not split or crack when cutting. Bonethane Premium is great for H classification sites that have heavy underground movement. Bonethane Premium has exceptional burning properties. Bonethane Premium available in any colour, EFX & print. Bonethane Premium can be easily shaped on site. Bonethane Premium air dries & shines when washed & rinsed. 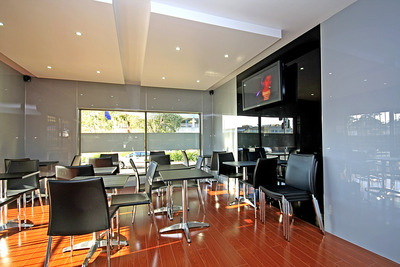 Bonethane Premium can be coordinated to suit the decor in your home or commercial fit out. Bonethane Premium can be digitally printed and GripTEK backing can be applied for superior, adhesion and colour depth. ISPS Innovations with our brands Bonethane & IPA Acrylic Splashback range serviced successfully in the Bunnings chain from 2007 to 2014 and we now nationally supply Australia wide direct to the public providing the affordable luxury splashback alternative options (including glass). So ISPS Innovations stand for credibility and long working history. Bonethane comes in any colour, shade, combination colour and print with any colour backing applied to our high grade polymer sheeting giving you unlimited choice & optical transion showcasing shade depth & even contrast of your colour choice. Where else can you get this kind of service & custom sizing. With your choice of print simply provide a high resolution digital image of your design & the colour you wish. Bonethane Premium has been successfully intalled nationally all over Australia for many years. Our brands have stood the test & continue to get better & more innovative.Our Innovative Splashbacks & Wall Panels now come with Griptek™ Technology on the back of our sheets since 2013 & formulated & tested since 1998 saving further time & money on costly preparation processes on site that can take days. Servicing, Architects, Interior Designers, Trade & the hardware industry nationally for a number of years. Bonethane grades carry a 7 year statutory warranty as at 20 March 2014 if you are in receipt of Bonethane Premium & contact us in the first 24 hours on receipt of goods & follow a few simple instructions ISPS will double the warranty to 14 years, condtions apply. Note competitors will constantly change or rename their brands, limiting their warranties while ISPS keep adding to the the avanced abilities of our brands & grades adding velocity & strength behind our ever advancing product lines providing you with unprecedented assistence 7 days a week till 9pm nationally for your convenience & immediate attention, as some DIYers require that support after hours. Bonethane Splashbacks and IPA Acrylic splashbacks are now nationally distributed by ISPS Innovations and come with superior GRIPTEK backing. 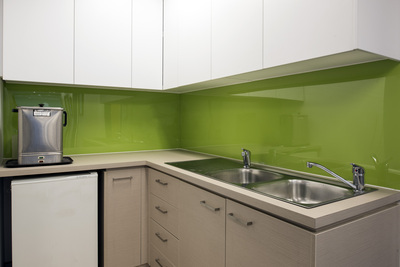 Filler EFX are available in any colour custom designed to suit your splashback request! All Prices include GST and Delivery to metro states. All skids require a fork lift or a tailgate can be requested at an addtional charge. If you are not available at the time of delivery, goods can be collected from a depo in your state making it easier for you to collect. We ask that goods delivered to a depo are picked up as soon as you are notified as goods are not covered by insurance for storage in the collecting DEPO. Person 18 years + should inspect and sign for goods.